February 6, 2017 is Queen Elizabeth II’s Sapphire Jubilee. The Queen is the first British monarch to celebrate a 65 year reign though there have been longer reigns elsewhere in the world. (King Louis XIV of France reigned for 72 years, the longest reign in European history so far). As I discussed with Eun Kim at Today, the Queen plans to mark this historic date quietly as it is also the anniversary of her father King George VI’s death. This year, Queen Elizabeth II became the longest reigning monarch in British and modern Canadian history, surpassing the record set by her great-great-grandmother Queen Victoria (1837-1901) My most recent article in the Canadian Encyclopedia discusses Queen Elizabeth II’s Diamond Jubilee in 2012, the second to be celebrated after that of Queen Victoria in 1897. I discuss the preparations for the celebrations, the Diamond Jubilee Medals in Canada, the Thames Diamond Jubilee river pageant and Commonwealth tours by members of the royal family including the Canadian tour by the Prince of Wales and Duchess of Cornwall in 2012. On September 9, 2015, Queen Elizabeth II will become the longest reigning monarch in Britain’s history. Her 63 year reign has encompassed so many distinct phases (See the series of articles that I wrote in honour of the Queen’s Diamond Jubilee in 2012: The Young Queen of Canada, The Controversial Queen of Canada, The Celebrity Queen of Canada and The Jubilee Queen of Canada) that it’s easy to forget that when she ascended to the throne in 1952, she faced all the expectations that were directed toward British women in the 1950s in addition to nearly a thousand years of royal tradition. In Perfect Wives in Ideal Homes: The Story Of Women In The 1950’s , Virginia Nicholson, author of Millions Like Us: Women’s Lives in the Second World War and Singled Out: How Two Million Women Survived without Men After the First World War , provides a social history of women’s lives in Britain in the 1950s. Popular culture expected them to be Perfect Wives in Ideal Homes but whether the women profiled in Nicholson’s book lived in palaces or council houses, their homes rarely conformed to ideals. 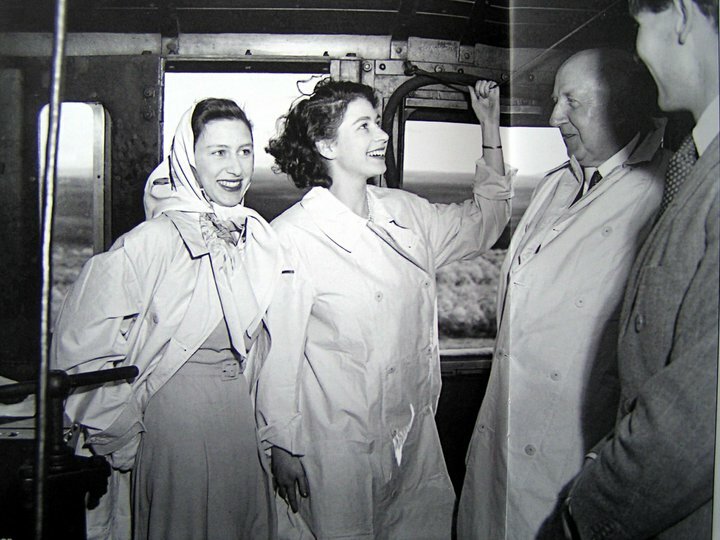 Throughout the decade, the two most prominent women in Britain were Queen Elizabeth II, whose marriage and motherhood appeared to conform to 1950s expectations and Princess Margaret who struggled in the face of overwhelming pressure to “settle down” with a suitable husband. Nicholson also provides a fresh perspective on Princess Margaret’s relationship with Peter Townsend and her ultimate decision not to give up her royal position to marry a divorced man. The Princess’s relationship with Townsend took place less than two decades after King Edward VIII abdicated to marry the twice divorced Wallis Simpson but attitudes toward divorce, remarriage and royal duty were already undergoing a gradual change. Nicholson discusses how English women, from Princess Margaret’s lady-in-waiting Iris Peake to working class women who read about the relationship in the press hoped the Princess would be able to marry the man of her choice. In contrast, the male establishment, some of whom had been involved in divorce cases themselves, were adamant that Townsend was unsuitable. The Queen supported the establishment and Margaret ultimately married the photographer Antony Armstrong Jones in 1960, divorcing in 1978. There’s far more to Perfect Wives in Ideal Homes: The Story Of Women In The 1950’s than royalty. Through the stories of individual women, Nicholson reveals the adversity faced by those women whose aspirations included other goals besides marriage, home and family. As late as 1959, only one in a hundred British women pursued post-secondary education and Oxford and Cambridge had only begun granting degrees to women in 1920 and 1947 respectively. Most British women of the period left school at fifteen and worked in jobs that provided little hope of career advancement until they married. Nicholson analyzes the context for women’s roles in the period including the desire to return to pre-Second World War life and slow adoption of modern conveniences within British households. Perfect Wives in Ideal Homes: The Story Of Women In The 1950’s is a fascinating history of how British women lived at the beginning of Elizabeth II’s record breaking reign. The cultural climate has changed immeasurably over the past sixty-three years but Nicholson presents convincing case that the attitudes toward women from the 1950s still cast a long shadow over modern life. 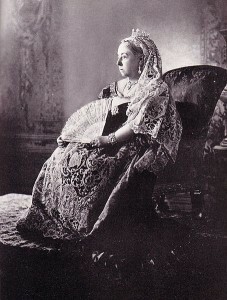 My latest article in the Canadian Encyclopedia is about Queen Victoria’s Diamond Jubilee in 1897. Queen Victoria (who reigned from 1837–1901) was the first monarch to celebrate 60 years on the throne. Celebrations to honour the grand occasion — the first Diamond Jubilee — showcased the Queen’s role as “mother” of the British Empire and its Dominions, including Canada. Prime Minister Wilfrid Laurier led the Canadian delegation to the London ceremonies, while communities across Canada held their own civic celebrations in honour of the Queen. My latest interview for Yahoo Shine Canada discusses the wide range of official duties performed by royalty today. Since the reign of King George III, philanthropy has been a key role for royalty, especially princesses. Queen Victoria’s five daughters all assumed charitable patronages, many of which were devoted to the health and education of women and girls. Today, representing Queen Elizabeth II at official engagements is also an important role for members of the royal family. The Queen and Prince Philip have reduced their overseas travel in recent years and their children and grandchildren often represent them outside the United Kingdom. In recent years, there has been a revival of interest in Queen Elizabeth II as Queen of Canada. The Canada Day celebrations led by the Queen and the Duke of Edinburgh on Parliament Hill in 2010, the choice of Canada for the first overseas visit by the Duke and Duchess of Cambridge in 2011 and the success of the Diamond Jubilee celebrations, including a Canadian tour by the Prince of Wales and Duchess of Cornwall for Victoria Day weekend in 2012, have all contributed to public support for the monarchy as a Canadian institution after decades of comparative indifference. At the same time, a wave of recent publications, including The Secret Of The Crown: Canada’s Affair With Royalty by John Fraser, Canada’s Constitutional Monarchy: An Introduction to Our Form of Government by Nathan Tidridge and The Evolving Canadian Crown edited by Jennifer Smith and D. Michael Jackson have presented a sound case that the Crown is not an archaic institution left over from Canada’s history as British North America but an evolving, vital component of the modern Canadian political system. In The Crown and Canadian Federalism, D. Michael Jackson, chief of protocol for the government of Saskatchewan from 1980-2005 and co-ordinator of ten royal tours of the province, restores the provincial Lieutenant Governors to their rightful place in Canadian history and politics. The compound monarchy consisting of a Governor General representing the Queen at the federal level and ten Lieutenant Governors at the provincial level emerges as a key component of Canadian federalism, safeguarding the rights of communities and minority groups as well as the individual. Jackson focuses his study on his home province of Saskatchewan, which brings a fresh perspective to the study of the Canadian Crown. 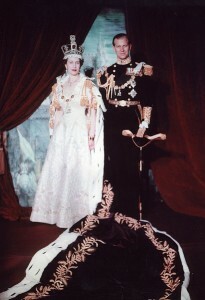 In many works regarding the history and function of the Crown in Canada, the province of Quebec takes centre stage because the Quiet Revolution of the 1960s led to a profound change in French-Canadian attitudes toward the monarchy, from protector of minority rights to symbol of British oppression. By drawing examples from Western Canada, Jackson highlights the long relationship between the First Nations and the federal Crown as well as lesser known aspects of the relationship between the provinces and Canada’s constitutional monarchy. For example Governor General Jeanne Sauvé’s attempts to present herself to the Canadian public as “Head of State” was not well received in Western Canada, where the public expected Governors General to present themselves as representatives of the monarch. For readers interested in personalities as well as politics, Jackson provides plenty of fascinating anecdotes about how Lieutenant Governors and Governors General engaged with their governments and the public over the past few centuries. Despite the importance of political impartiality for representatives of the Crown, several Lieutenant Governors found themselves in conflict with the governments elected during their tenure. Examples include Lieutenant Governor John Bowen of Alberta, who was turned out of Government House in Edmonton by Premier William Aberhart in 1938 for reserving royal assent to legislation and Lieutenant Governor Frank Bastedo of Saskatchewan, a former counsel for the oil industry accused of conflict of interest when he reserved royal assent on Bill 56, The Alteration of Certain Mineral Contracts, in 1961. In contrast to these contentious figures, Jackson describes Bastedo’s successor as Lieutenant Governor of Saskatchewan, my great granduncle Robert Leith “Dinny” Hanbidge as “informal, low-key and non-controversial” during his seven year term from 1963 to 1970. Jackson concludes The Crown and Canadian Federalism with a study of the various republican options for Canada’s government, presenting a strong case for the continued viability of the constitutional monarchy. He also looks at current perceptions of the monarchy – including my Diamond Jubilee Series of articles about the Queen in Canada – assessing whether the current interest in the Canadian monarchy is a short term phenomenon or a long term trend. The Crown and Canadian Federalism is essential reading for anyone interested in Canadian history and politics as well the evolving constitutional monarchy in Canada. I will be delivering a guest lecture about the Queen in Canada on June 21 at 2pm at the Don Mills Public Library in Toronto. Buckingham Palace announced this week that the Prince of Wales will represent his mother, Queen Elizabeth II, at the Commonwealth Heads of Government Meeting (CHOGM) this fall in Colombo, Sri Lanka. The Queen is committed to her role as Head of the Commonwealth and has attended every one of these biennial meetings since 1971. The decision to send the Prince of Wales to Sri Lanka as the Queen’s representative in 2013 demonstrates that the 87 year old monarch is gradually reducing her overseas travel. 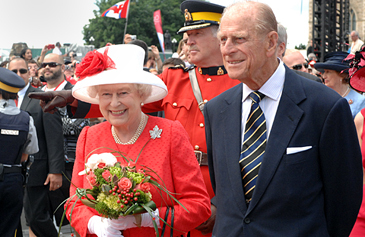 In 2012, the Queen and the Duke of Edinburgh toured the United Kingdom in honour of the Diamond Jubilee while their children and grandchildren visited all the commonwealth realms to mark the occasion. The Prince of Wales’s representation of the Queen at the 2013 CHOGM is part of the broader pattern. Click here for my interview with Janet Davison of CBC about the significance of the Prince of Wales attending CHOGM on the Queen’s behalf. The Prince of Wales’s visit to Sri Lanka is also an example of the Queen carefully preparing her heir, and public opinion in both the United Kingdom and the Commonwealth realms, for a seamless transition between this reign and the next one. Queen Elizabeth, the Queen Mother lived to age of 101 and there is no reason to believe that the current Queen will not continue to reign for years to come but there is evidence that the Prince of Wales’s public role will continue to expand in the coming years in anticipation of his eventual ascension to the throne. Today, May 8, the Prince of Wales accompanied the Queen to the State Opening of Parliament at Westminster with the Duchess of Cornwall, the first time he has attended this event in 17 years. While the attendance of the Prince and Princess of Wales at State Openings of Parliament in the 1980s received public attention because of Diana’s fashions, the 2013 event showcases Charles in his role as future King. 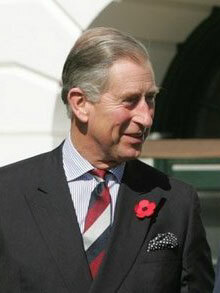 Although Prince Charles’s reputation has improved considerably in recent years with greater public interest in his philanthropic and environment initiatives, successive opinion polls demonstrate that his mother, the Queen, and his sons, Prince William and Prince Harry remain more popular with the general public in both the United Kingdom and Commonwealth. 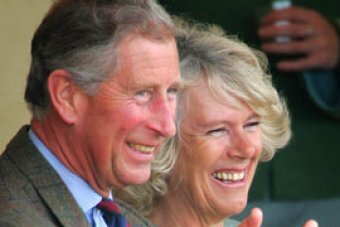 The Prince of Wales’s second marriage to the former Camilla Parker-Bowles, his willingness to express his political opinions publicly and his increasing age have all prompted concerns about his suitability to become King. Prince Charles’s presence at high profile events such as the 2013 CHOGM and the State Opening of Parliament are all opportunities to demonstrate to the public that he has the experience and stature to serve as Head of State for sixteen nations in the twenty-first century. George VI ensured that his elder daughter had the necessary training to overcome any skepticism about her ability to fulfill her constitutional role. Beginning in 1939, the thirteen year old Princess studied the history and structure of the British political system with Henry Marten, the Vice Provost of Eton College. 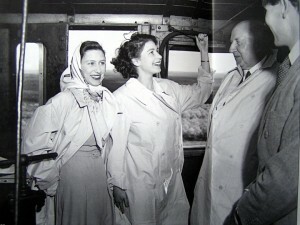 During the final year of the Second World War, Elizabeth served at the Mechanical Transport Training Centre run by the Auxiliary Transport Service. Princess Elizabeth completed her first commonwealth tour with the King and Queen in South Africa in 1947 then represented her father in Canada in 1951 and Kenya in 1952. If King George VI had not died in 1952 at the comparatively young age of fifty-six, this period of apprenticeship would have continued for decades in the manner of the current Prince of Wales’s preparation for his eventual ascension. The Prince of Wales’s attendance at the 2013 Commonwealth Heads of Government Meeting as the Queen’s representative is part of a broader program of public events that present him to the public in his role as future King. 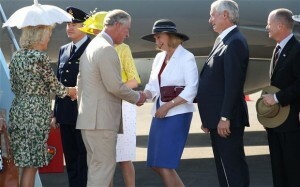 Charles’s recent Diamond Jubilee Commonwealth Tours and presence at the 2013 State Opening of Parliament all demonstrate that he has been carefully prepared for the role of future monarch and that the Queen is planning for a seamless transition between her reign and that of her eldest son. At the age of only twenty-eight, Prince Henry “Harry” of Wales, the younger son of the Prince of Wales and the late Diana, Princess of Wales has experienced a remarkable series of transformations in the popular imagination. At the age of twelve, he was the focus of public sympathy along his elder brother William as the two Princes walked behind their mother’s coffin to her funeral at Westminster Abbey. By the time he reached his gap year between Eton and Sandhurst, however, Harry was chastised in the press for his poor judgement compared to his seemingly more responsible brother. From his experimentation with marijuana to his inappropriate choice of Hallowe’en costume, Harry seemed to be a “party prince” alone without understanding of his responsibilities as a member of the royal family. Harry’s reputation changed once more in recent years when he completed two tours of duty in Afghanistan and represented the queen on a highly successful trip to Belize, the Bahamas, Jamaica and Brazil. The Prince also served as an Olympic ambassador, following in the footsteps of his grandfather, the Duke of Edinburgh by promoting youth athletics. As Harry undertook royal duties, charitable work and active military service, even his “party prince” moments, such as his notorious game of strip billiards in Las Vegas, were treated indulgently by the public. In Harry: The People’s Prince, Chris Hutchins, author of Diana’s Nightmare – The Family and Fergie Confidential explains how the military was making of Harry, transforming him from Party Prince to People’s Prince. The sections of Harry: The People’s Prince concerning Harry’s military service are the strongest chapters of the book. Hutchins combines the Prince’s extensive and occasionally controversial interviews about Afghanistan with quotes from his fellow soldiers and royal observers, giving a sense of Harry’s commitment to his military duties and daily life during his tours of duty. Hutchins also discusses Harry’s relationship with Chelsy Davy in more detail than previous works, revealing the full extent of her influence over key years in Harry’s life. Chelsy even edited Harry’s best man speech at Prince William’s wedding to Kate Middleton in 2011, removing jokes that might offend the Queen. Unfortunately, these informative, interesting chapters do not appear until the second half of the book. In the same manner as Penny Junor in her recent biography of Prince William, Hutchins devotes far too much space to the breakdown of the marriage of the Prince and Princess of Wales. These marital difficulties have been analyzed extensively in other works and Hutchins contributes little to the reader’s understanding of his subject by reexamining them in minute detail in Harry: The People’s Prince. Hutchins also omits vital historical context that is essential to understanding Harry’s military service and place in the royal family. The author focuses on the Prince’s admiration for military figures that he encountered during his childhood, such as Diana’s lover, James Hewitt (who was certainly not Harry’s father), with only passing mentions of Harry’s interest in “Granny’s soldiers.” The centuries old tradition of military service in the royal family would have as much if not more influence on Harry’s decision to attend Sandhurst than his childhood role models. British monarchs led troops into battle until the mid eighteenth century and military service has long been accepted avenue for channeling the energies of a “party prince.” Readers of Harry: The People’s Prince should also read a work about royalty at war, such as Charles Carlton’s Royal Warriors: A Military History of the British Monarchy, to get a better sense of Harry’s place in the long tradition of royalty in the military. The conclusion to Harry: The People’s Prince also displays an absence of historical context. Hutchins argues that the arrival of the Duke and Duchess of Cambridge’s first child in July, 2013 will allow Harry the freedom to move to Africa, devote his energies to his Lesotho charity, Sentebale, and possibly rekindle his relationship with Chelsy Davy. The arrival of a niece or nephew certainly reduces the chances that Harry will one day become King, in the manner of other famous royal second sons such as Henry VIII, Charles I, George V or George VI. The experiences of other younger royal children in recent decades, however, demonstrates that a lower place in line of succession does not result in freedom from royal duty. Princess Margaret faced pressure to end her relationship with the divorced Peter Townsend even after the births of her nephew and niece, Prince Charles and Princess Anne. All four of Queen Elizabeth II’s children perform extensive royal engagements both within the United Kingdom and throughout the commonwealth. Harry’s very popularity may preclude a life of comparative obscurity abroad. Queen Elizabeth II, the Prince of Wales and Prince William will need “The People’s Prince” to continue his rapport with the public throughout all sixteen commonwealth realms. Harry: The People’s Prince is an interesting biography of a popular prince that would be improved by greater historical context for his military exploits and future, and less attention to the well known story of the Prince and Princess of Wales’ divorce. Prince Charles and the Duchess of Cornwall are currently in Australia as part of a two week tour of Papua New Guinea, Australia and New Zealand to celebrate Queen Elizabeth II’s Diamond Jubilee. This tour marks the Duchess of Cornwall’s first visit to these countries but Prince Charles has a long history of involvement in the region. In 1966, he spent two terms at Geelong Grammar School in Australia as an exchange student from the Gordonstoun School in Scotland. 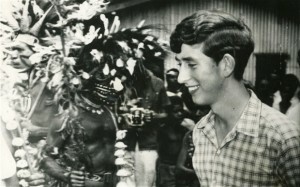 As part of his studies, the Prince traveled to Papua New Guinea with his history tutor to learn about the history and culture of this unique commonwealth realm. The Diamond Jubilee tour therefore celebrates the Prince’s decades of interest and involvement in the region as well as the Queen’s 60 year reign. The three commonwealth realms on the royal couple’s itinerary may share Queen Elizabeth II as head of state but they have distinct systems of constitutional monarchy. 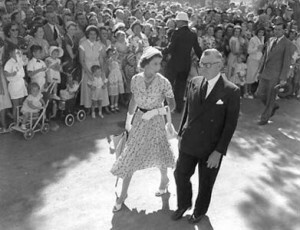 Popular perceptions of the royal family and royal tours, both in previous decades and today, also differ amongst Papua New Guinea, Australia and New Zealand. In Papua New Guinea, there is widespread popular admiration for “Misis Kwin” as Elizabeth II is known in the local creole language, Tok Pisin. Papua New Guinea gained independence from Australia in 1975 but retained the Queen as its Head of State. In contrast to the other commonwealth realms, where the Queen’s representative, the Governor General, is nominated by the Prime Minister, the parliament of Papua New Guinea elects the nominee for Her Majesty’s approval. This collaborative system for selecting the Governor General undoubtedly contributes to the monarchy’s popularity. The Duke of Edinburgh, known in Tok Pisin as “oldfella Pili-Pili him bilong Misis Kwin” visited the island as part of an extensive commonwealth tour of the region in 1956-1957 that included opening the Summer Olympics in Melbourne, Australia. The Queen’s most extensive visit to Papua New Guinea occurred during her Silver Jubilee tour in 1977 when she visited the capital, Port Moresby, Popondetta and Alotau. In common with Tuvalu and the Solomon Islands, commonwealth realms visited by the Duke and Duchess of Cambridge this year, Papua New Guinea experienced fewer royal visits after the Royal Yacht Britannia was decommissioned in 1997. Prince Charles and the Duchess of Cornwall’s visit this week has been greeted by cheering crowds and the Prince’s decision to introduce himself in the local language as the “nambawan pikinini bilong Misis Kwin” (The number one child belonging to Mrs Queen) endeared him to the people of Papua New Guinea. The history of popular perceptions of the monarchy in Australia is more complicated, encompassing both extreme enthusiasm for the royal family and republican sentiment. The first royal tour of Australia, by Queen Victoria’s second son Prince Alfred, Duke of Edinburgh, in 1868, was marked by the first political assassination attempt in Australian history. The Prince was shot and wounded in the back by Irish-Australian law clerk Henry James O’Farrell necessitating a two week hospital stay before his departure. More recently, Australia has debated changing its government from a constitutional monarchy to a Republic. 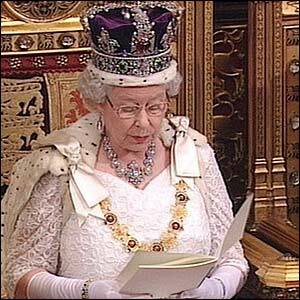 In 1999, a referendum proposing that Australia cut ties with the monarchy was defeated by 55% of the popular vote. At the time, Republican sentiment was divided by whether the Governor General would be replaced by a President nominated by the Prime Minister or by popular vote. A 2011 poll, however, revealed that support for constitutional change is the lowest it has been for twenty years. Of those surveyed, only 34% were pro-republic as opposed to 55% pro-monarchy, suggesting that the monarchy’s popularity has increased in the twenty-first century. Queen Elizabeth II’s role as Head of State has been much less controversial in New Zealand. The existence of the modern state of New Zealand dates from the signing of the Treaty of Waitangi in 1840 when over 400 Maori chiefs granted Queen Victoria sovereignty over what is now New Zealand in exchange for recognition of their land rights and receiving the status of British subjects. 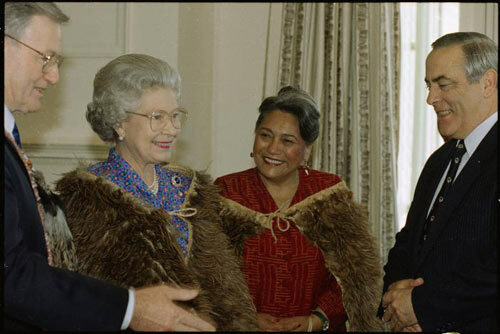 The Crown is therefore integral to the history of the modern state, particularly the property rights of the Maori people. Royal visits to New Zealand have been well received in the past. The Queen has visited on ten occasions and has included words of the Maori language in her speeches at Maori welcoming ceremonies, reaffirming the historic relationship between the crown and New Zealand’s first peoples. 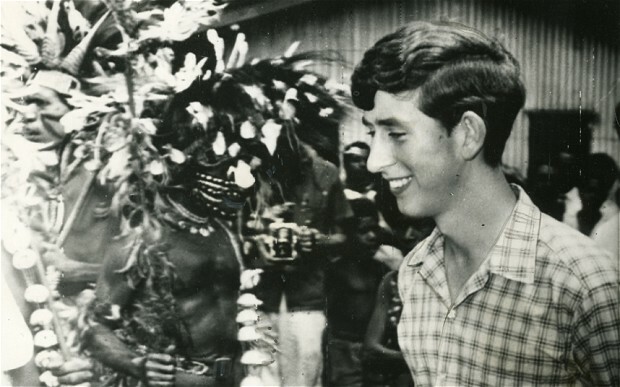 Prince Charles’s Diamond Jubilee tour of Papua New Guinea, Australia and New Zealand encompasses three distinct constitutional monarchies that share Queen Elizabeth II as Head of State. The monarchy has been embraced as part of the national character of Papua New Guinea and New Zealand and royal visits there have traditionally been well received. Australia has gone through periods of republican sentiment and popular reactions to royal tours have ranged from an 1868 assassination attempt to a 1954 stampede by thousands of enthusiastic Australians. Recent polling data suggests that Australians are once again embracing the constitutional monarchy and will provide a warm welcome for the Prince of Wales and Duchess of Cornwall.